Roy, Rob carries a fair range of Madeira, including a lot from Blandy's. Old Madeira is one of my favourite wine types but the prices..... . I would like to find something I like from the Alentejo, as it's been a long while since I've had anything. The tendency seems to be towards a much more "international" style than elsewhere in Portugal, though with a few exceptions (Mouchão). This is natural, of course, because this is what sells in Portugal. Would like to know about any more of those exceptions, in any case. Fair point I think. At a recent Wines of Portugal event most wines from this area were quite 'international" in style. Feel sure there are some good ones but will we see them here? A couple I would mention....1) `07 Outeira do Mouro Terra d`Alter. 2) Think forumites should also consider Casa da Santa Vitoria. Last edited by Bob Parsons Alberta on Sat Jan 08, 2011 12:53 pm, edited 1 time in total. Redoma - Douro DOC V.Q.R.D.D. 1995 – Niepoort (Vinhos) S.A. Porto – red - 13.5% alc. I am delighted to report that this bottle was much better than a VA dominated bottle opened about three years ago. There was still a little VA but in balance in a way that makes it a welcome element of added complexity (like a little brett ). Colour was quite transparent with medium depth and a little bricking. The nose was reticent at first but developed sour fruit and mineral aromas. The overall character was savoury with medium body, some underlying roundness, sour cherry and plum, earthy and wet leather touches, lively acidity with slight traces of varnish and enough firmness on the finish. The overall effect was classy in a somewhat austere manner; 16/20++. The Alentejo tends to be hot, irrigated and home to more new-world style winemaking. For someone seeking something more old-school (in style) they might seek out Quinta do Mouro. Won't be cheap (>$30) or easy to find, but the best Alentejo red I've tried. They also make a nice $10 bottle called Vinha do Mouro. Another more economical bottle that has a good reputation and pretty wide distribution is the Reserva bottling (cork label) of the Borba Co-op. After another wine tonight, I drank the last glass of Redoma which was full of a heavy sediment falling rapidly to the bottom of the glass. It was fruitier and rounder than yesterday and put the wine on the table, Domaine de Baruel Cab/Syrah 95, into the shade. I have a private theory that a wine draws nourishment from a thick sediment like this and this certainly seemed to confirm it..
Glad to hear your bottle of Niepoort was much better. 1995 .. good on you man. It is not easy to find people drinking ANY Douro wines (or Portuguese reds for that matter) from vintages prior to 2000. They are really difficult to come by these day. I just opened my oldest bottle last month, a 1989 Ferreirinha Reserve, which was amazingly still a beautiful, fully mature bottle that was caught in time. I had been holding that and a 1994 version for years. I started buying Douro wines with a case of the 1996 Quinta do Crasto Touriga Nacional, upon release. Now they make up about 30% of my entire collection of table wines. I prefer my wines with age, so that's the only draw back for me. I am reluctant to open these when young and do so, sparingly. They really are so much better as they mature and the brash vibrancy turns soft and deliciously complex. Tim's post had me thinking about this. There is a revolutionary new wine bottle design, coming from Spain and I was wondering if this would work for Vintage Port. What do you think? A Mouro was under the table at a recent tasting, but although welcome was way too young. Roy naturally brings up a good point about the availablity of older wines in the market/lack of a track record etc. What worries me up here is the prices being charged (up here) for some of the wines being produced out there. I cannot afford $80 for a wine like the Cedric Noval (spelling? ), prefer to stick with my $40 Portal or Pato. WTN: `08 Crasto White, Douro. I had a chance to sample the `08 again last night. The girls at the Grill always seem to like my white selections! Served niceley chilled with some small pieces of grilled Tuna. Not much to add to my TN posted early last year. These whites can mostly be drunk on release and go well with shrimp, mussels etc. Braised pork tenderloin worked too in this case. Citrus floral nose plus apple and some minerally tones. Crisp dry on the palate, zippy, nice fruit balance. Has a green olive edge which I found in the CARM and Portal too. Sorry about double entry above, but unable to delete for some reason! Anyway onto Colheita, a port wine I have little experience of as I seem to prefer LBV. Roy has some wonderful tasting notes on his website so a must read if you wanna go back 70 yrs or more! WTN: 1997 Barros Colheita, Portugal. Although I was not present at a recent Port tasting, DeVine staff said "Bob, try this", seems I missed a real treat. $26 Cdn for a split, nice looking package. The color was a light to medium brownish amber but appeared rather cloudy. Is this typical? Caramel, toffee on the nose and seemed rather spirity to me but could not really detract. Fine aromatics which held up well over a 5 day period. Dried fruits, raisins on the entry palate. Caramel on a lengthy finish which is a tad hot. sweet, good complexity...I like the roasted almond feel here. Very good acidity, dried cherries by day 3 and more raisins. I could write more but very enjoyable, we can all analyse these wines to death!! Thanks for the plug Bob. The USA probably has the largest Colheita sales of any country. The UK .. it is unknown except by the most serious Port geeks, as it never caught on there when called "Reserve" throughout history. The Brits did not like using the Portuguese term which was hard to pronounce back in the day. I wind up drinking/tasting about 100 bottles of Colheita per year, but have had many great ones. I recently had two of them that were about 150 years old and those tasting notes will be in my next newsletter. One of them is the Taylor's Scion (from 1855) which sells for $3200/bottle in the USA ... if it can be found. The other is 150th Anniversary Port from Rocha. Great stuff. On my TNDB (Tasting Note Data Base), I have many 19th century Colheitas, the oldest I've had are a couple from 1815. I have been very fortunate with Colheitas and every time I get to Portugal wind up introducing people to some great oldies and have converted some serious Vintage Port lovers to truly appreciate the charms of Colheita. What's not too love? So I guess I have to ask if some of these Colheitas have such a long life, what is the chance that a 40 yr old tawny cannot age as graciously. Is it the blended structure? If I added up all the hours I've spent at Vinologia and all the Ports I have had there over many years ... ouch, I think I need a new liver, just thinking about it. This is on the other side of the river though, in Porto and not on the Gaia side, where all the Port Lodges are located. Seriously though, if you are seriously into dry white Port, try the Dow Extra Dry and let me know what you think. As to Madeira, I visit the island and lead tours there every May. It is an amazing place and I hope you will get at least a day or two to venture through Funchal. If you have time to sail around to the North side of the island to Porto Moniz, there are some spectacular sites there. Also on the South side of the island, the revered, legendary vineyard beside the ocean is called Faja dos Padres. You can sail up to it and dock your boat and have a great lunch of fresh line caught tuna and some local wines, not to mention some amazing Malvasia (Malmsey). Unfortunately, you won't be able to find ANYWHERE on the island to purchase a cask, no matter how much cash you flash. There are some stunning wines available there at prices that can't be found anywhere else. Explore a little! Roy, thanks so much for all the great advice! I will look for the Dow and write back if/when I find and taste it. But especially about Madeira. I've forwarded the link to my cousin -- it's really great to have an insider's tips on how best to see the island. That you can give us boat-centric advice is all the better. Thanks again! I just stopped by my favorite wine shop here in Freiburg on my lunch break and picked up a bottle of Henriques & Henriques 10-year-old Bual for my first foray into Madeira. After all, I did promise to do some research! Dan, great heads up from Roy eh. Regards your question, my step-father lived north of Freiburg at Haslach. Had a beautiful city hall! Not much to do in the evenings, the whole place was shut down. Bob, then that's the Haslach just a couple towns over from where my girlfriend is from! 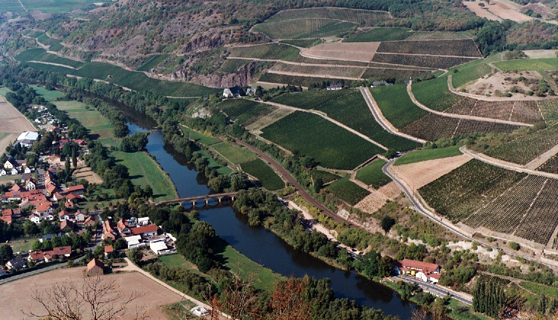 It's also in the Ortenau, not far from Durbach, where this year's winner of "best white wine in the world" according to some competition in Vienna grows his grapes. But... I guess that's a little off-topic. "So I guess I have to ask if some of these Colheitas have such a long life, what is the chance that a 40 yr old tawny cannot age as graciously. Is it the blended structure?" No, the 10/20/30/40 year old Tawny Ports can't age long at all. When I say that, sure they will hold up in the bottle and not die for years. But EVERY Port producer will recommend on their website's etc. or in person that it is best to purchase bottles based on the youngest possible bottling date. Right now, you should not be buying any with bottling dates (usually on the back label ... but must be on front or back) that are from between 2007 and now. Older than that and they lose freshness and are a bit different than when young, just bottled and fresh. The ONLY upside of the age is that they appear smoother in the mouth but you are trading viscosity for freshness and the flavor profile is more important, as these tawnies usually put on some weight when they are opened for a couple of days. The REASON why they can't age is because they are fined and filtered and all of the good material requisite for aging and improving ... has been stripped out. it's really great to have an insider's tips on how best to see the island. That you can give us boat-centric advice is all the better. Thanks again! Actually, I take people on speed boat rides off the south coast of the island during our tours and we go checking out dolphins that love to come swim and jump directly next our boat. On v. rare occasions there are whale sightings too. We then head to the most hard to reach vineyard in the world. Only two ways to access it: by ocean/boat OR dropping down a steep 1200 foot vertical drop in a coffin-sized elevator that dangles from a cable. We do both. : ) We then make sure everyone gets over this experience by plying them with copious quantities of old Madeira, directly from cask. It seems to work, every time! a. Broadbent 10 year old Malmsey - my favor value Madeira 91/92 point range for approx. $40 or so. c. Many of the young Colheita Madeiras which have come into vogue. These are young wannabe Vintage Madeiras that have not had the requisite 20 years in cask to be deemed VM. But be aware that playing in the "big league" with Vintage Madeira is an expensive sport. The good news is you can have Madeira open for ages and it won't go bad in 99% of the cases. The three things that destroy table wine: oxidation and heat and light ... have zero affect on Madeira. The first two of the 3 are actually part of the production process. THE ONLY way to kill a bottle of Madeira, is to have it break. It is fantastic, accurate and filled with hours and hours of amazing reading! Dr. Peter Reutter, the creator/writer is a friend of mine, who like Dan G., is also from Germany. In fact, we were in touch again earlier today about a couple of topics. He's one of the world greatest Madeira ambassadors, along with Mannie Berk who owns The Rare Wine Co. who's knowledge of Madeira is encyclopedic and legendary. suggests, Rui Reguinga is making very vineyard driven wines in the Portalegre sub-region which I tipped for great things in my last contribution (northern-most, elevated. wetter, cooler so less well suited to international volume winemaking than most of Alentejo). I visited with him in 2009 and Portalegre's special qualities really came across as we drove well up the slopes of the Serra de São Mamede (it rises to over 1000m) to see the aged (80-100 year old) mixed vineyard bush vines he's leasing there. These are exceptionally old vines for Alentejo - the average age must be 10-15 years (if that given frenzied plantings in the noughties). Because of their age, the grapes are of course native and, to my surprise, northern as well as southern. His white is a blend of Arinto, Roupeiro, Bical and a little Moscatel and his reds are a blend of Aragones, Trincadeira, Alicante Bouschet, Castelao, Baga and Touriga Franca. He explained to me that the presence of northern varieties reflects the fact that, a century ago, when there were no vines to speak of in Alentejo, cuttings came from the north. Anyway, his very mineral, well structured whites and reds linger in the memory, though my abiding memory of the visit will be Rui trying to catch a kid goat that was loose in the vineyard! Though they are much more modern in style, I also like the wines of Sao Miguel. I know that Ciconia which is very commercial has performed well in the States but the equally good value Montinho label is a more Portuguese red - drier, fresher with a bit of structure. The more up market Herdade de Sao Miguel Colheita Seleccionada and Sao Miguel dos Descobridores Reserva are not silly prices and again deliver well on structure/freshness. Dão - Vinha do Rodeio 2008 - Vinhos de Darei - Alc.13% - (c.€7) was made from Jaen (=Mencia) 60%, Tinta-Roriz 30%, Touriga-Nacional 10% and bottled without filtration. I chose this at random at our local supermarket. It turned out to be highly enjoyable; medium weight, quite supple with attractive red fruit infused with spice and mint, smooth/lively acidity and enough grip to retain interest. Just a hint of coarseness, particularly on the nose, which I much prefer to synthetic polish and sophistication, did not spoil enjoyment and I will buy more; 15.5/20+ QPR. Thought this might be of interest, as I start to pour my second glass of the `03 Crasto Reserva Old Vines (grin wink). I usually stick to Portuguese wines made primarily from 'native' grape varieties, but this was offered to me by the glass while eating leitao this past weekend. Aveleda is a fairly large producer most well known for the Casal Garcia Vinho Verdes. The Follies series is a mid level range of whites and reds - I enjoyed the '05 Touriga Nacional(TN) from this series. This was fairly dark with some black current and wood on the nose. Very sharp acidity at first but some substance to balance. The CS really seems to stand out, with some tobacco and spice. Worked quite well with rich food; can't tell if the wine grew on me or if it was evolving. Some demerit for not really speaking much of Portugal, which might be the intent. Interestingly, some previous vintages were mostly CS, and were labeled Bairrada; this one is Regional Beiras for some reason. Probably worth the $12 or so, but I think I prefer the pure TN bottling. There was a recent conference in Portugal where Touriga Nacional was the grape of honor. The reported consensus seemed to be that TN, while one of Portugal's great grapes, shows best as part of a blend (I believe Sarah reported on this). One exception might be when it is grown in the granite soils of Dao, where it originates. Here is a inexpensive version which makes a strong case for the the latter. Fairly inky, with a plummy nose and a slight vegetal note. A very big wine on the palate, polished and tannic at the same time, with more dark berry/plum fruit, and an almost minty note. It drinks very well now and also gives the impression that it could age. Remarkable stuff for $9; I shall try to buy some more if possible. As Tim noticed in his review of the Vinha do Rodeio, the QPR from Dao can be impressive.